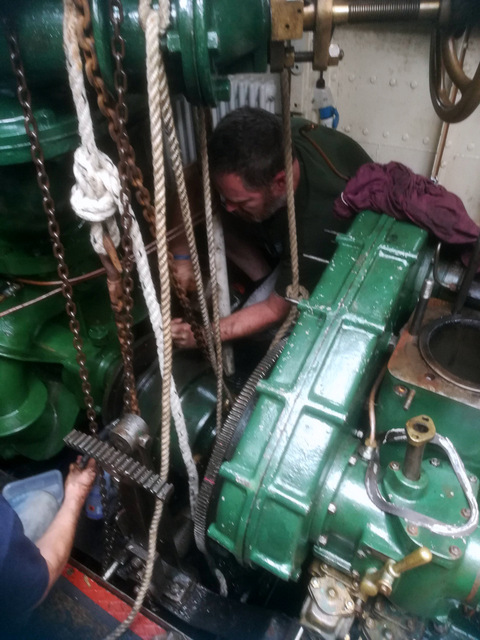 Work continues to repair the damaged engine – and Colin Perry, our Chief Engineer/Operations Director, has put together this update on progress. 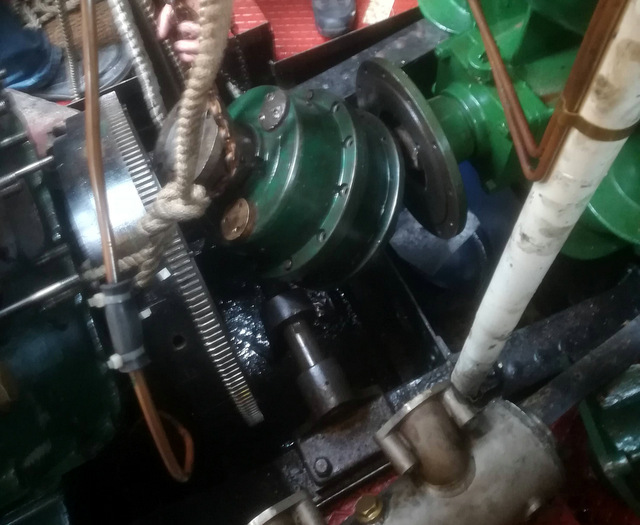 Progress on removing the engine has been slow over the past couple of weeks because of difficulties in removing some ancillary equipment. This was mainly caused by problems with the fire pump clutch. We’ve been having problems with this clutch for some time and have been unable to work out what was wrong. 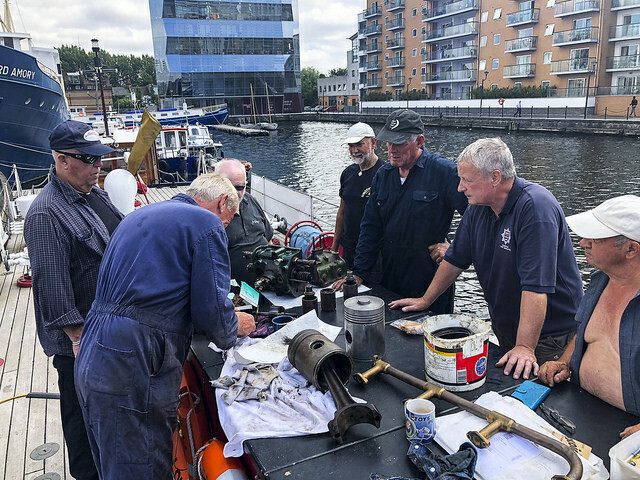 On Saturday, I was joined by two volunteers: Mark, an engineer with the Royal Fleet Auxiliary who was on leave, and Ray, down from Scotland and also mechanically-minded – we were determined to move us forward. The clutch was partially dismantled and we found that a tiny grub screw, intended to hold a drive cog in place, had unscrewed and was jamming on one of the clutch plates. 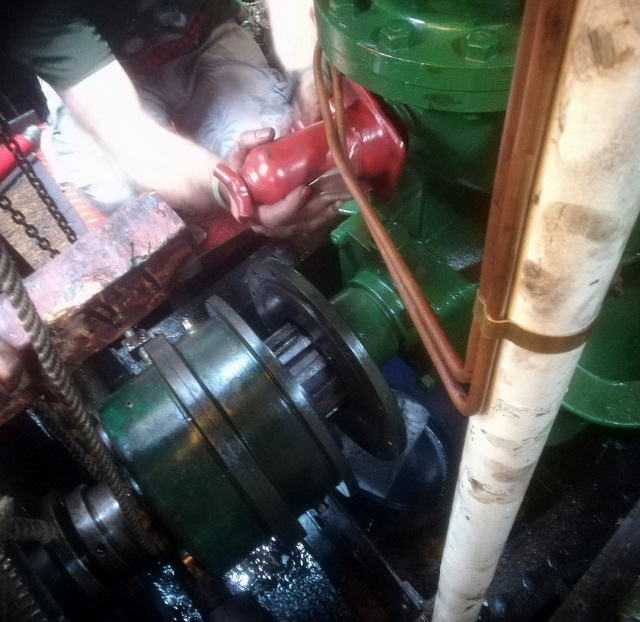 We screwed this back with some difficulty and work proceeded to disconnect the drive shafts to remove the pump. This was foiled as the drive cog had seized onto the drive shaft and despite heat being applied the cog remained firmly fixed. With this part of the engine/clutch/pump assembly still together, there is insufficient space to remove the pump as it has to be hoisted out to clear other fittings. As a result, we decided we would have to move the engine backwards. The drive shaft to the propeller had already been separated and a spacer removed – which we judged would give us sufficient space. 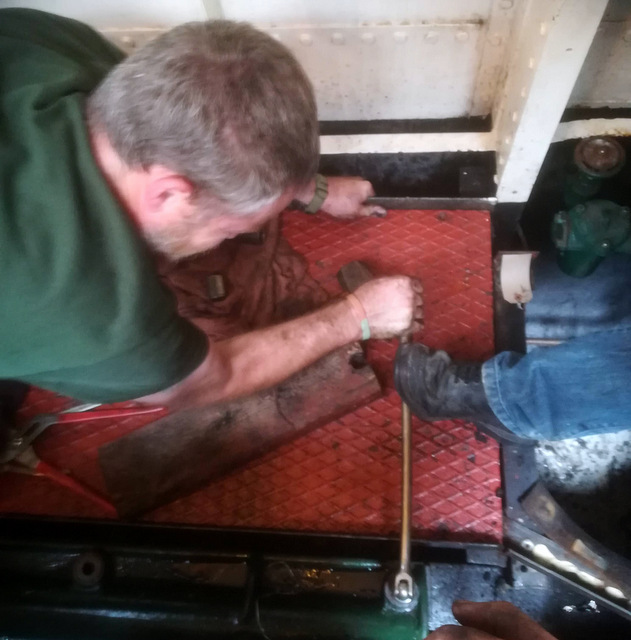 So, 16 or so heavy 125mm bolts, that fix the engine to the boat, were removed and the engine pushed backwards – no easy feat! We ended up using some hydraulic rams and a car jack. 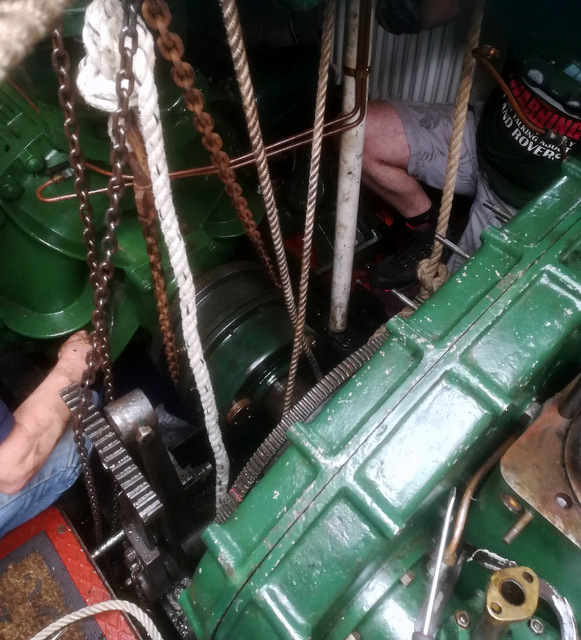 Having moved the engine sufficiently a block and tackle was rigged (together with some supporting lines to keep the flywheel from falling off) and the pump was raised up, turned, swung out and lowered to the floor. Having now removed the clutch we can progress with removing the timing case, water pumps, and drive to the fuel pumps. 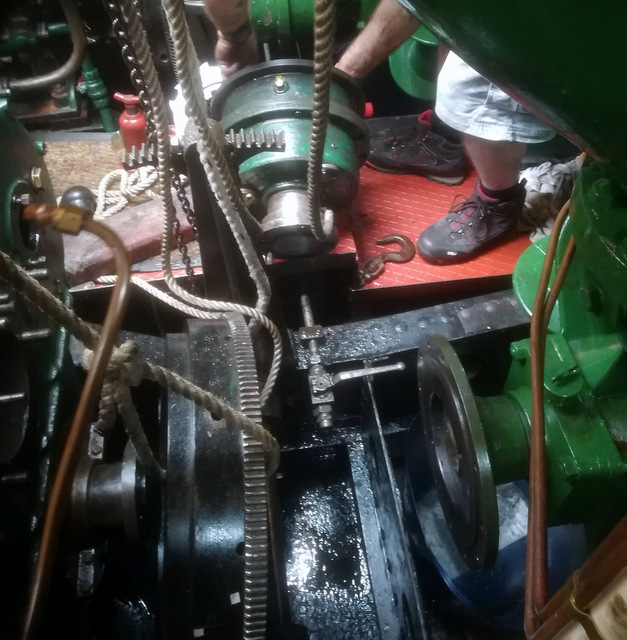 The next stage is to remove the gear box so allowing the block to be separated from the sump and then raised, allowing removal of the crankshaft for examination and repair. The clutch was partially re-assembled to make sure we don’t lose any small bits, and then put aside for cleaning and repair. At least we now know how it works! So, to sum up, while the work progresses slowly and we are learning much as we progress, we still have not found what caused the problem, nor the final extent of the damage. Once the engine strip down is complete, and the drive shaft extracted, then we will be able to identify the full extent of the damage, and begin to order replacement parts where needed. 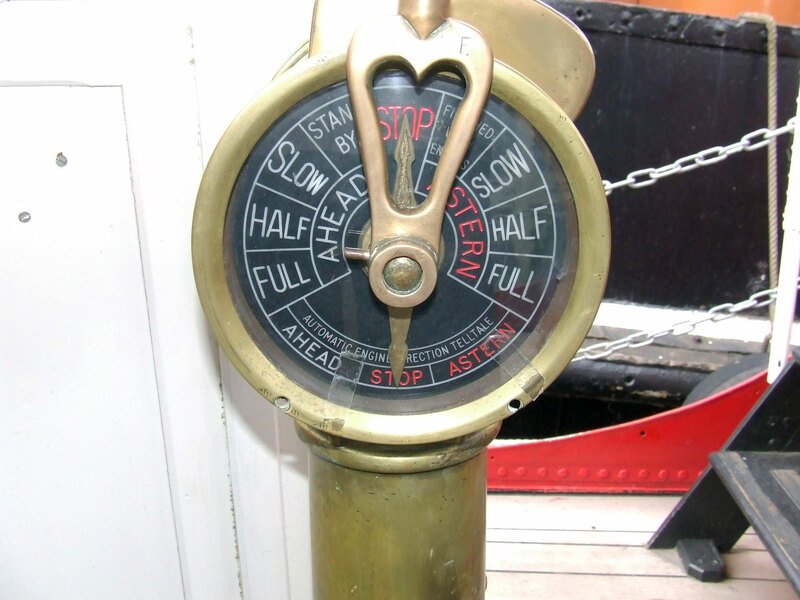 So we still need your support to let us order the production of parts and bring in specialist personnel where needed. If you want to help, then get in touch through the website. If you’re based outside of the UK you can donate securely via PayPal here.